Today I am delighted to announce that you can now see our headline numbers inside Piwik analytics. If you are all hung up on Google Analytics – you may have forgotten that there are other great analytics packages out there and Piwik is free and open source. Search Data Directly into your Analytics. 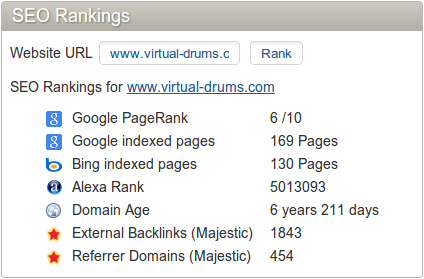 The integration is modest at the moment – showing the backlink counts for any page on your site. You can click on the number to drill down by linking through to Majestic’s deeper data. The link data goes alongside other SEO related data about the page, currently including PageRank. Unfortunately they do not show Trust Flow or Citation flow in there at the moment. We did try – but maybe a few of you can pitch up and request it (or build it into the product). We are hopeful that someone goes ahead and builds a full OpenApps integration into the technology. That really depends on our user base. If there is a big call for it, then we would develop an analytics integration further. For any page on your site… with Open Apps integrated… we could show you stuff like the anchor text spread, actual links to the page, the Flow metrics, and loads more. But unless you call for it, Piwik will develop in other areas. ask here – or ask Piwik! Piwik is free if you host it on your own servers or costs from just $4 a month if you host it on third party machines. It has loads of rich features and is a worthy competitor at any price in the analytics market. Interesting move. 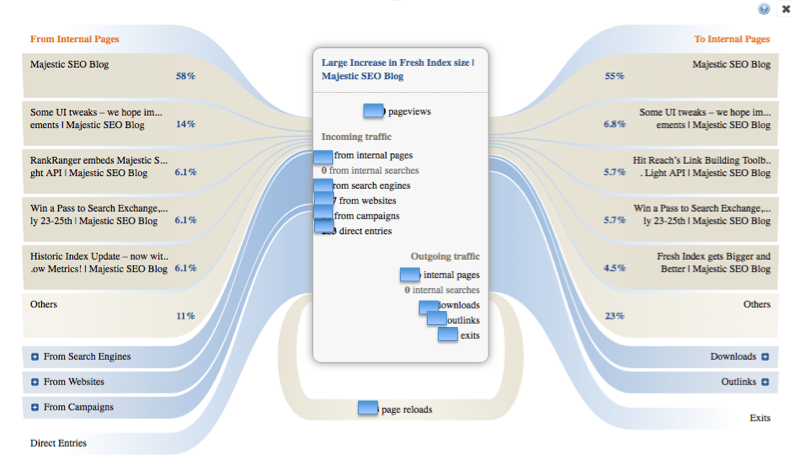 I prefer MajesticSEO, and would rather use your solution than Moz Analytics. I already use Piwik, so it would be nice not to have two “platforms” to worry about! Yeah thats cool, i m using piwik since a while now for all my projects. Having overview of pages and backlinks in piwik is indeed very helpfull. Cool, this will be very helpful! We’ve been using Piwik for a few years and seeing that Majestic SEO is now integrated makes a great addition. It’s good to see our backlinks at a glance using the Majestic SEO data and we can now click to see more details on our backlinks. Wow! I did not know this. This is definitely the reason that is going to make me switch from ahrefs.com to majestic. I’m doing it.